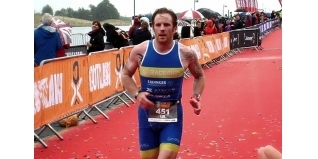 Regular Tri247 contributor Karl Alexander was going into "unchartered territory" during Sunday's Outlaw Triathlon. The race itself wasn't new to him (he was eighth last year), but preparing by doing another iron-distance race two weeks previously was certainly something he had no experience of previously. 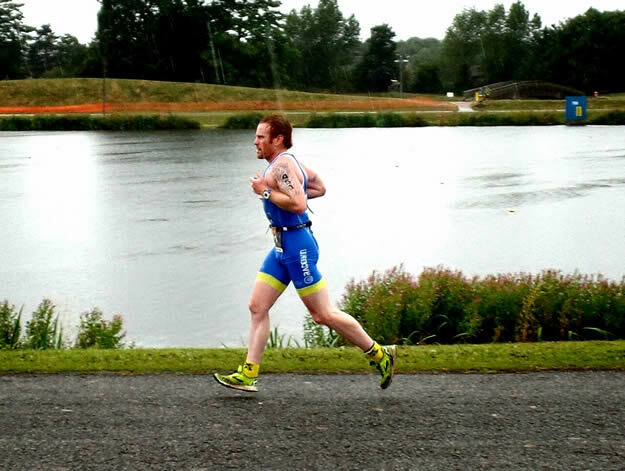 Having won the Outlaw Half at the same venue in May, could he hit top form once again at Holme Pierrepont? 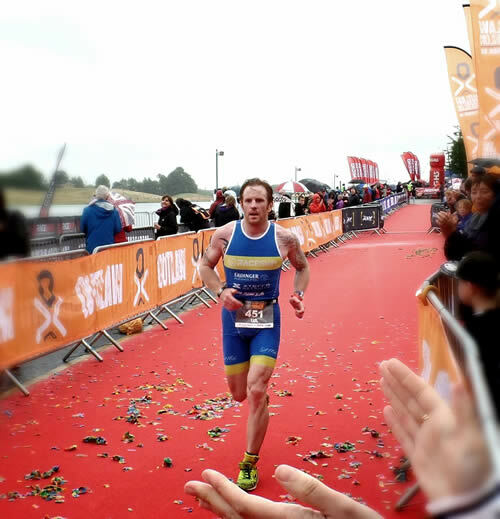 Two weeks ago I raced The Bastion, an iron-distance event set to the impressive backdrop of Hever Castle in Kent on a course that I described as “tough, very tough”. And there I was treading water in the rowing lake at Holme Pierrepont National Watersports Centre in Nottingham for The Outlaw, ready for my second iron-distance in as many weeks. I had been asked a few times how I felt my body would hold up, and the truth was, I didn't know. This was completely unchartered territory from me, the closest I've come previously was racing the London Triathlon a week after the Outlaw last year. I spent the first week recovering. By the Wednesday I felt I was feeling good and itching to resume light training, but I resisted the urge, despite the temptation of two prototype bikes for me to test from Planet X. By the Saturday, one week out I finally succumbed to the temptation and went out for a ride, then again on Sunday. I then spent the week before the race in light training reminding my body that it had a job to do very soon. One thing that always amazes me at One Step Beyond events is how smooth everything runs. Nothing is left to chance and every little detail is carefully considered, little wonder that it has been voted 220 Triathlon ‘Race of the Year' four years straight. I registered, sorted my kit bags out, racked my bike and gave a quick interview to Dream Team television before the race brief. As winner of the Outlaw Half, I was invited to give a Q&A session at one of the pre-race briefings on Saturday afternoon, which I found really enjoyable and if you happened to catch it, I hope you did too. With nothing left to do, it was time to get to the hotel and rest up. Having missed the final stage on Alpe d'Huez I caught up with the the Tour highlights and tried to sleep. I say tried, if the pre-race nerves weren't enough then the loud chanting, songs and general high spirits from Nottingham's LGBT Pride event made it even more difficult. They sounded like they were having a far better time than was in store for me! Before long, I was clad in neoprene and joining in… no wait… getting in the water for the start of the 2.4 mile swim. Usually for me the swim follows a similar format; swim hard for the first couple of hundred meters and settle in to my rhythm and this was no different, until I made the turn back to the swim exit. As I swam past one of the yellow 25m marker buoys I came to a complete stop. My timing chip had snagged on the cable and stopped me in my tracks (can you leave tracks in a lake?). I wrestled myself free and tried to put the chip back on my ankle. As I began to swim away it fell off again, I turned to see it floating on the surface, grabbed it, and shoved it down the front of my wetsuit and then the rest of the swim went fine. 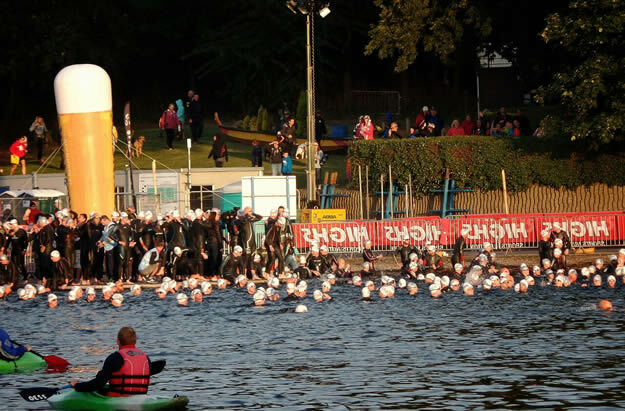 I climbed out the swim after 57:59, annoyed at losing time but pleased to still be up towards the front of the field. After a quick transition, where I discovered I hadn't been the only one to fall foul of the marker buoys, I was heading out into the Nottinghamshire countryside for the 112 mile bike. I passed a number of athletes quite quickly and I could see the familiar style of ERDINGER Alkoholfrei team mate Tom Vickery. Luckily for me, not so for Tom, I caught him at the bottom of the first climb, overtook at pace and used the hill to open the gap. Over the next few miles I caught and passed athletes including another ERDINGER Alkoholfrei teammate Lucy Gossage - competing as a relay entrant on the bike just a week after winning Ironman UK! As the ride passed by I began to find myself alone, I had a good tempo and was actually feeling really good. As the course left the northern loop I could see another rider ahead and over the course of the next six miles or so I never lost sight and he really was the proverbial carrot for me to chase. I was locked on and closing and as I drew closer I could see it was Tom McGlashon (Tricamp TFN), and again made the pass at speed to open the gap. With 40 miles to go it was still dry, but the wind had picked up considerably making it a lot tougher. At 20 miles to go I saw another rider ahead and recognised him immediately. It was Paul Hawkins and as I made the pass I offered some encouragement but he was clearly suffering. He upped his pace and kept with me for a mile or so before he began to drop off. Before long and after 4:52:32 I was in T2 and preparing to run. I was joined by Tom and we had a very civil chat as we prepared to run, I wished him luck and headed out onto the course... and very nearly into Harry Wiltshire who had already completed the first lap of the lake. We ran together for a little bit and chatted briefly before he turned off and I continued around the lake. Harry would eventually drop out due to a recent broken toe. 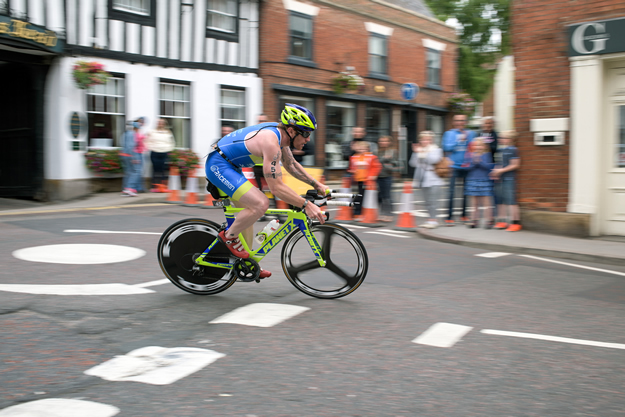 I had come off the bike in third place, my legs were feeling good and I felt reasonably comfortable. Before long Tom had caught up to me and made the pass, he was running really well. All I wanted to do was stick to a steady pace, I had made a plan that I would run at minimum the first lap and then evaluate whether I would employ a strategy to walk the aid stations. As it turned out I was well into the second lap and at about 18 miles in before I walked an aid station. Shortly after that Mark Livesey made his pass - and oddly offered me a free place to race The Rubicon Middle - I declined, but to be fair I would have declined most things at that point as my legs were shutting down! With 10km left, just two laps of the lake I was in my own personal hell and 'digging deep into my suitcase of courage', I was using athletes ahead as incentive, locking on catching up before selecting a new target. Once again, a huge thanks to my amazing sponsors: ERDINGER Alkoholfrei, Planet X, XTERRA and Last Mile Endurance Supplements. And, I know I don't do this nearly often enough, but thank you to my beautiful wife Helen. Without you I'd never get to the races!